Now you can place your pump anywhere on your TopTier Modular Brewing Stand! 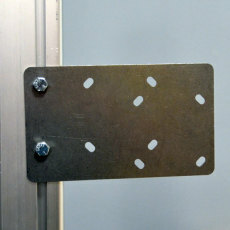 This convenient mounting bracket can be used with March or Chugger pumps, as well as the new RiptIde Brewing Pump! With the ability to mount your pump anywhere on the stand, you can ensure the pump is gravity primed and pumps wort and hot liquor to and from anywhere you need! 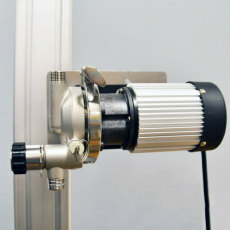 This is the perfect solution for using just about any brewing pump with the Blichmann TopTier Brewing Stand. 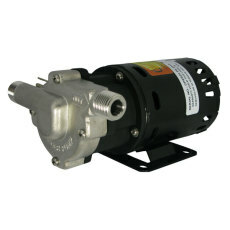 Pumps can be mounted vertically or horizontally, whatever is best for you and your brewing system! Please note that this product does NOT come with a drip shield. Chugger and March pump owners should use this product to mount their pump in a location where it is not exposed to water. The RipTide pump has a shielded body that allows it to be resistant to water.